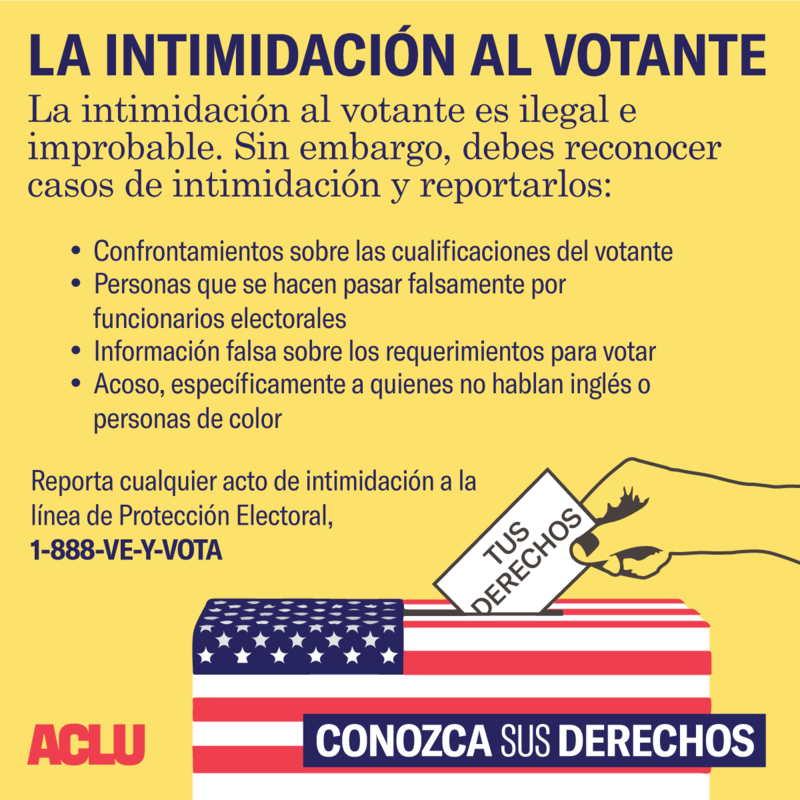 Federal law, and many states’ laws, prohibit voter intimidation. Federal law makes clear that "no person … shall intimidate, threaten, coerce … any other person for the purpose of interfering with the right of [that] person to vote or to vote as he may choose." Outside of a polling place, campaigning is permitted --a certain distance from the polls. Again, laws vary from state to state – some state prohibit campaigning within 200 feet of the entrance a polling place (Alaska); others permit campaigning up to 30 feet from the entrance (Alabama). Descargar en español aquí , y el gráfico compartible aquí .